It’s Hudson’s Bay Canada beauty event 2019! Get $20 off and free 22pc Hudson’s Bay beauty bag with $125 purchase (worth $220) plus beauty specials, extra GWP and free shipping all beauty. I’ll share Rachel Zoe Box of Style Spring 2019 full spoilers (worth $515) + coupon for $25 off and a free leather tote. The Bay Canada (Hudson’s Bay) (NEW) GIFT 1: $10 off $75 beauty purchase use code SPRING + free shipping on any beauty order, ends 3/28. Or Save $20 on Any $100 or More Cosmetics and Fragrances Purchase Use Promo Code: BEAUTYVIP, ends 3/24! Plus, Beauty Specials like 20% off all Sigma, 50% off select Elizabeth Arden, 20% off YSL lip product and brush (including Y brush) and more. GIFT 2: Beauty Week Gift! 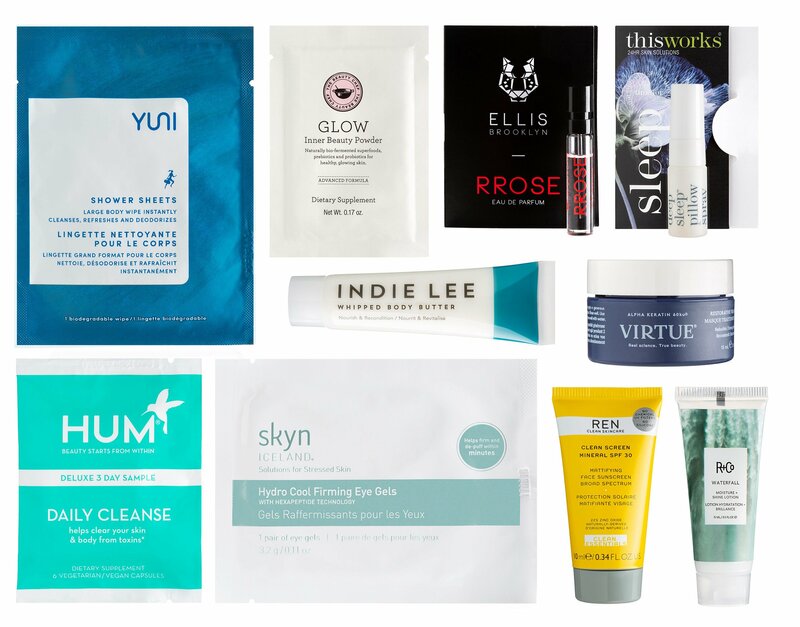 Spend $125+ in Beauty and receive 22 samples ($220 value). Goody bag at The Bay normally sold out in 1-2 days. (NEW) Your free gift with any Shiseido purchase of $64 or more. Available at checkout. GIFT 2: Get a free Shiseido White Lucent OnMakeup Spot Correcting Serum, Yours with any $125+ SHISEIDO purchase. GIFT 2: Yours with your Clinique purchase of $75 or more. Choose between Step Up A and Step Up B. Available at checkout. Dramatically Different Lipstick Shaping Lip Colour in Canoodle and Mini Cosmetics Pouch. Rachel Zoe Box of Style (NEW) Use code SPRINGAFF25 for $25 off a seasonal subscription for new subscribers through the end of the Spring season (Reg $99.99)! PLUS, all new subscribers will receive a Jules Kae Leather Tote (see all Jules Kae at Nordstrom)! Use code SPRINGAFF25 to get everything $74.99 for your first box!